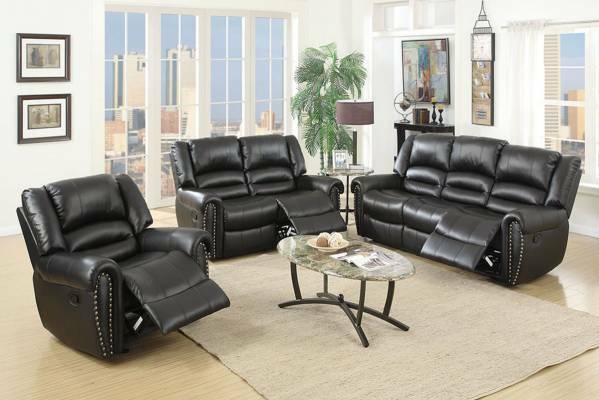 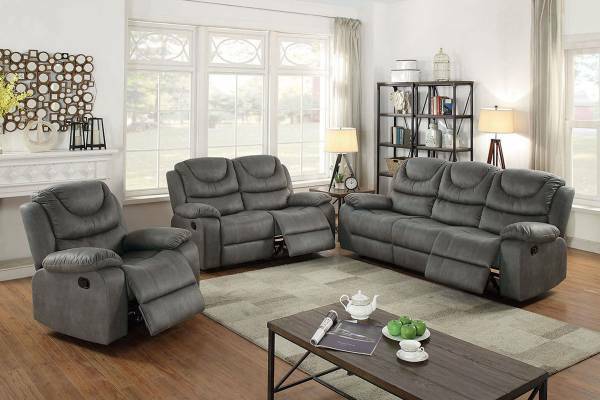 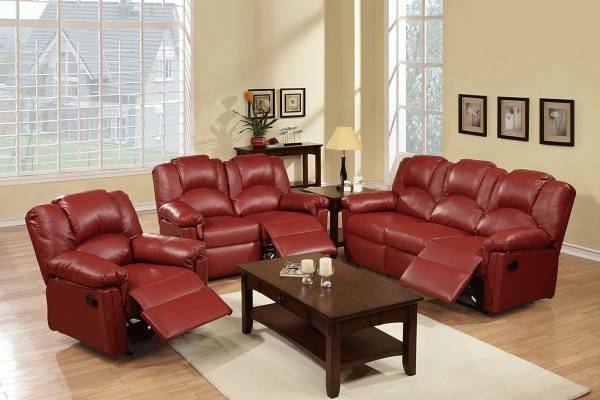 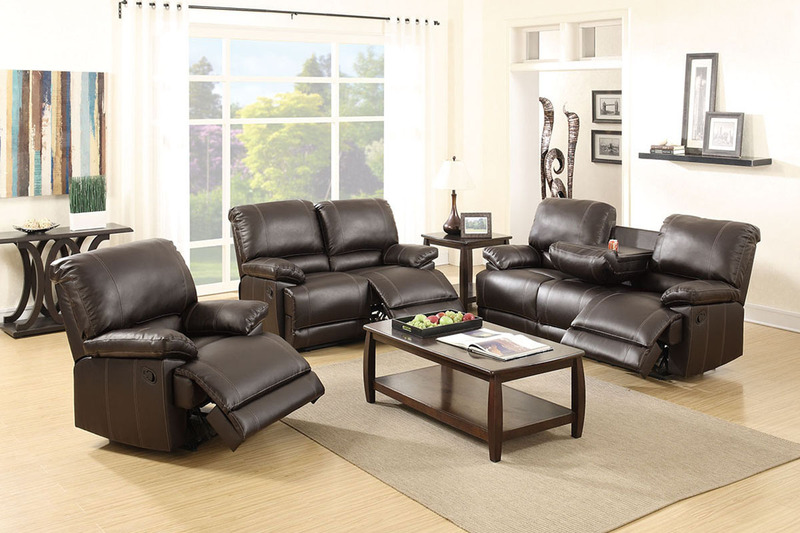 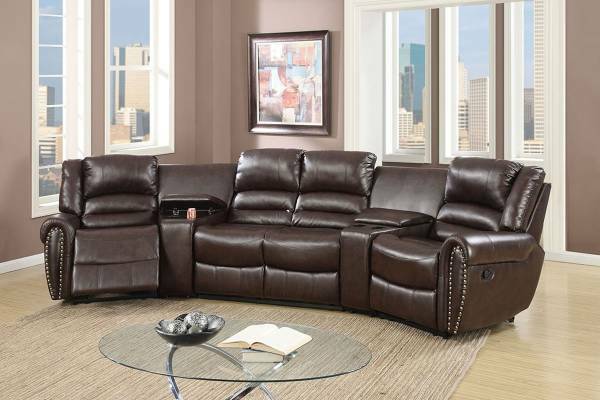 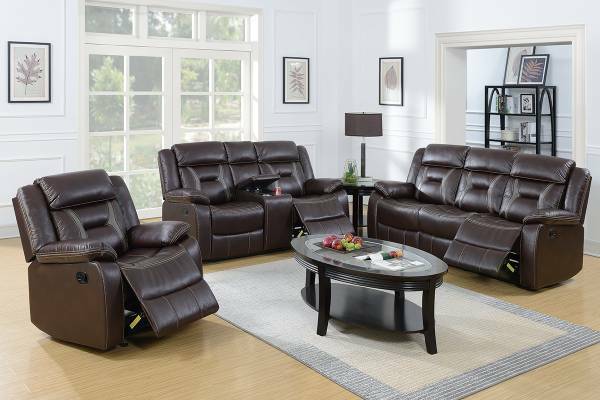 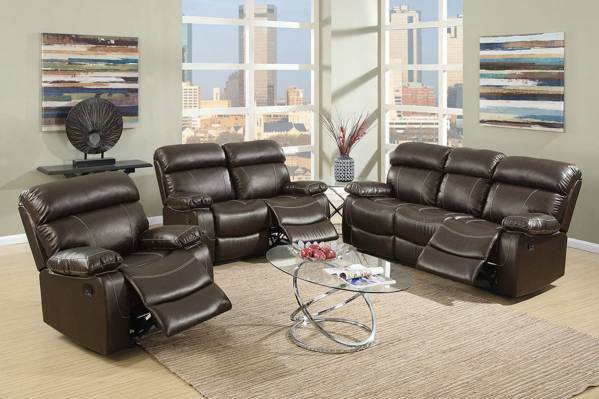 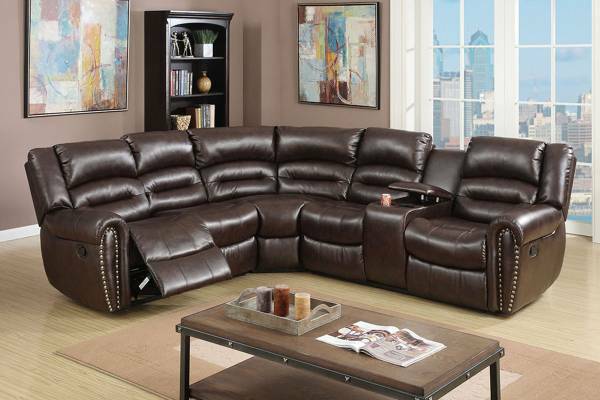 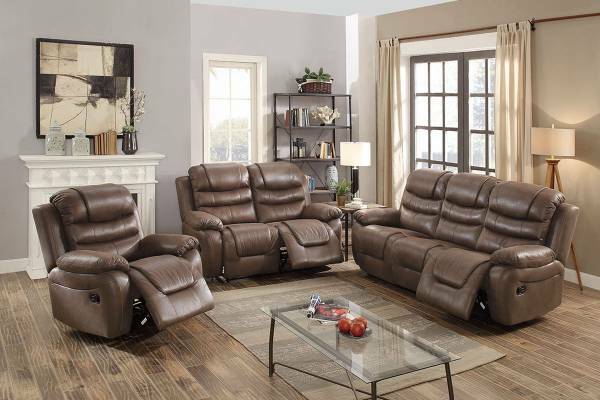 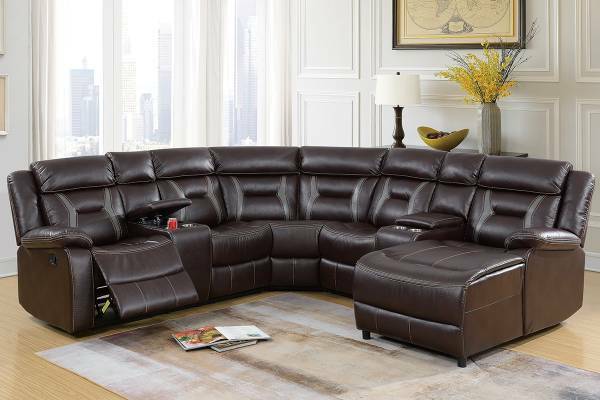 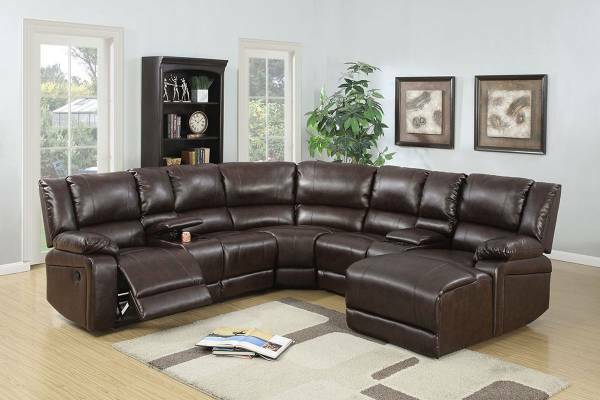 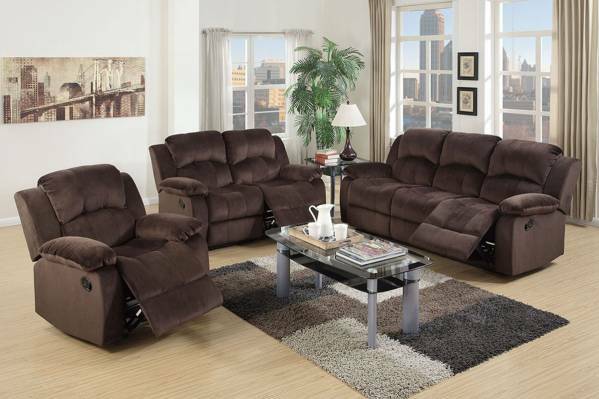 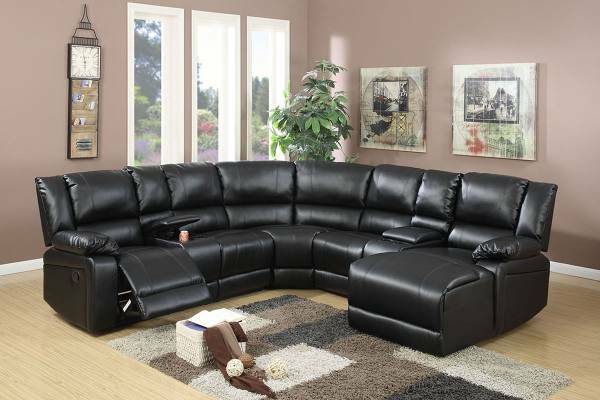 Touch down and relax with a motion sofa set that feature super plush seating with adjustability for lounging back to watch a game or your favorite movie. 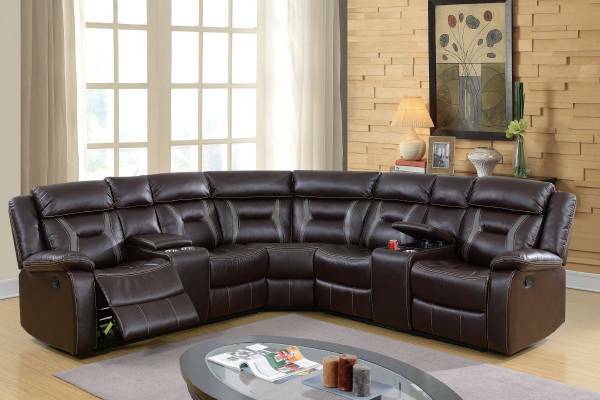 Each piece is draped in pillow-top cushions from top to bottom. 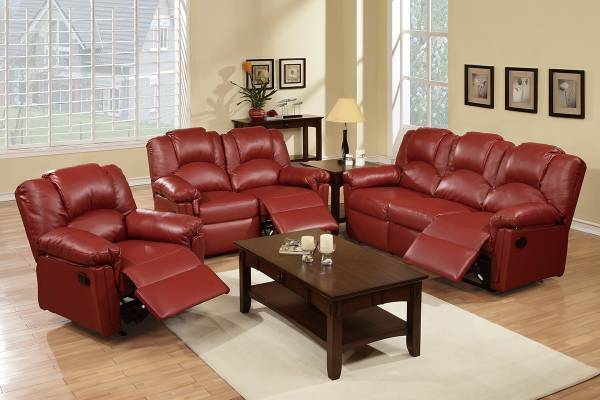 Set includes a loveseat, sofa (drop down console) and rocker recliner. 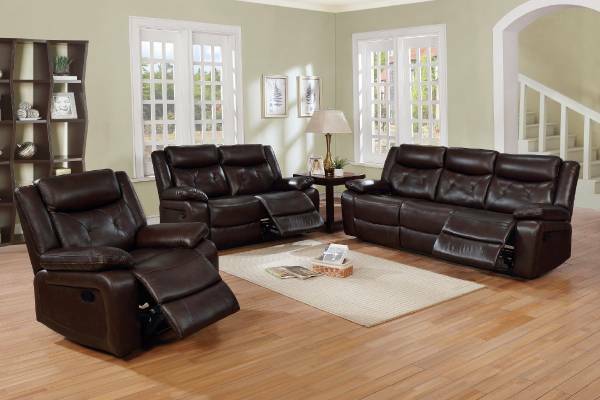 Available in espresso (faux leather), chocolate (microfiber/leather and leather).